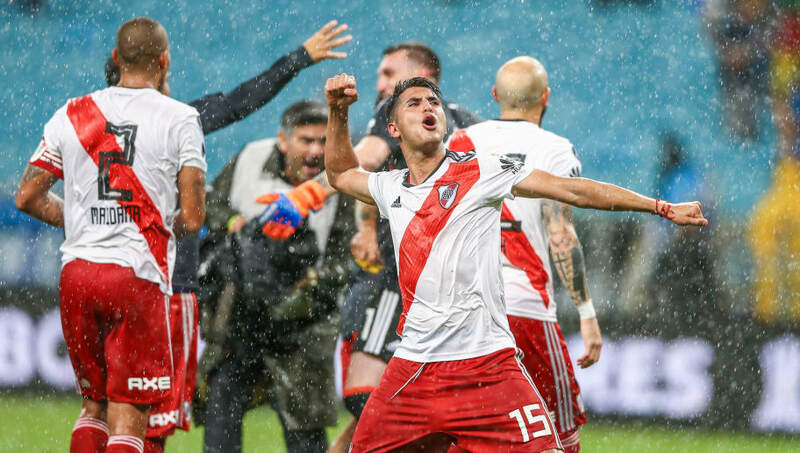 ​The president of River Plate has confirmed that talks between the Argentine club and Real Madrid for the transfer of Exequiel Palacios will take place after the Copa Libertadores final. River Plate face rivals Boca Juniors in the South American equivalent of the Champions League in what is a two-legged final, with the second leg taking place on 24 November, two weeks after the first leg. Once the final has taken place however, the president of the Buenos Aires club has stated that they will begin discussions with ​Real Madrid over the prospect of signing of the 20-year-old midfielder, who has spent his entire career in Argentina. "Emilio Butragueño did call our director, Enzo Francescoli, to take an interest in Exequiel Palacios, and once we finish all this we will sit down and talk," said club president Rodolfo D'Onofrio speaking on El Larguero de la Cadena SER, as quoted by ​MARCA. "It's likely from what I hear and from the apparent interest of different European clubs that Palacios plays in Europe next season." A versatile midfielder who is able to play across a number of positions, Palacios has become a key player for River Plate, making eight appearances this season, scoring once and providing two assists in the Primera Division, whilst playing an integral part in the club's run to the Copa Libertadores final. Palacios' form has also seen him earn his first caps for the Argentina national team, having previously represented La Albiceleste's U17 side, with the midfielder featuring in recent international friendlies against Guatemala and Colombia in September.